Can I eat grapes during pregnancy? Grapes are the veritable super foods of the fruit world. They are delicious, and packed with multiple nutrients that are beneficial for almost every human being. And needless to say, they are extremely delicious. Now, things change a bit during pregnancy. Ideally, most fruits contain a high level of nutritional elements that are highly beneficial during pregnancy, but some of them like grapes, can contain some elements that might make over consumption rather risky. In this article, let us see how safe it is for us to consume grapes while we are expecting. Normally, it is perfectly okay to consume grapes each day. However, things do change considerably in pregnancy, and it is never a good idea to overdo tings during those nine months. And like everything else, it is quite safe to eat grapes during pregnancy as long as you are doing so in moderate amounts. You need to make sure that you consult the doctor when you are pregnant, and eat only the recommended daily allowance of grapes as suggested by the doctor. It is a common ailment of pregnant women to suffer from digestive issues like constipation and diarrhea. 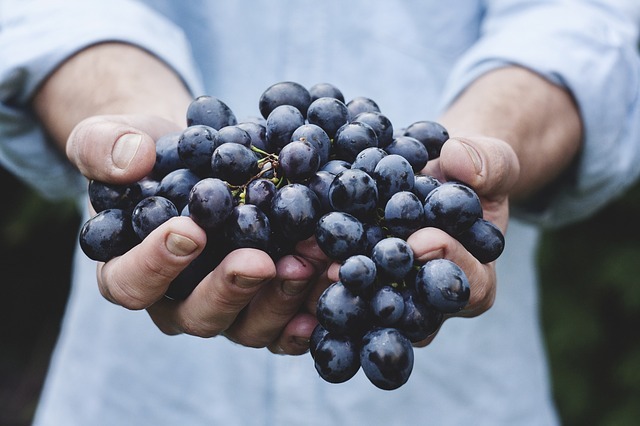 Grapes are highly fibrous, and greatly aid in regulating the digestive process. This is because grapes are high in water content, and foods that contain a lot of water are known to help in softening stool and making bowel movements smoother. A lot of women suffer from high blood pressure during pregnancy, and grapes can come in handy in such a situation. High blood pressure occurs when the level of sodium in the body increases significantly, and the level of potassium becomes too low. Grapes have a pretty high potassium intake, which means that eating grapes regularly will increase the potassium content of the body and balance out the sodium content in the process. If a woman suffers from diabetes, her pregnancy becomes a high risk one. Besides, some women develop gestational diabetes during pregnancy, which is a rare but dangerous condition. This kind of diabetes is cured by itself as soon as the pregnancy is over, but can lead to miscarriages, premature birth, or stillbirths. According to recent researches, the chances of developing diabetes is reduced significantly by eating up to three servings of grapes each day, along with other fruits like blueberries and apples. Grapes contain a moderate amount of folic acid, which is one of the most important minerals the woman needs during pregnancy. All minerals and other nutrients go to the baby through the umbilical cord, so consuming food with folic acid is of utmost importance. Folic acid aids in the proper development of the nervous system and the spinal cord. Consuming ample folic acid reduces the chances of the baby developing neural tube defects and spinal effects like spina bifida. Besides, grapes are also an important source of a number of vitamins and minerals that help in keeping both the mother and the baby healthy. Is there such a thing as too many grapes? Yes, of course there is, especially when you are pregnant. Grapes contain high amounts of resveratrol, which can cause severe complications in the pregnancy if too much of it is taken by the woman. This is because during pregnancy, there is a lot of hormonal changes and imbalances going on in the body, and too much of resveratrol can lead to toxicity. There is also the fact that grapes generate quite a lot of heat, which can make them quite dangerous in high amounts during pregnancy, especially during the third trimester. Excessive body heat, coupled with the fiber and water content, can lead to diarrhea and nausea, which will lead to loss of fluids and essential minerals from the body. You can eat them in moderation during the first two trimesters, but it is best to avoid them altogether during the final three months. Apart from this, it is also best to avoid acidic grapes all through the pregnancy since it can cause heartburn, which will again lead to nausea and vomiting. 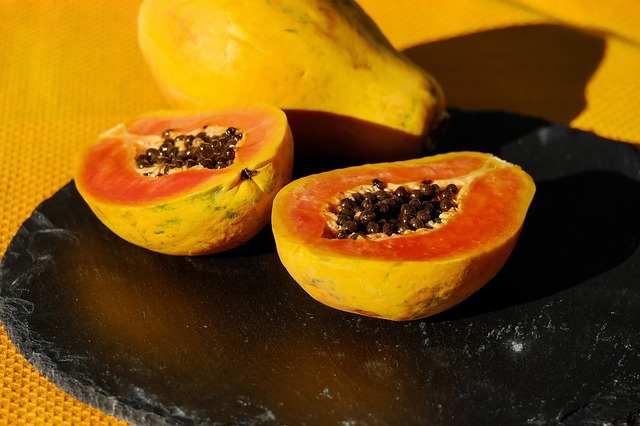 Also read: Can I eat Papaya during pregnancy? There are so many different kinds of grapes to choose from: red, black, and green. You can eat them as part of a delicious fruits salad, mix them with your yogurt and berries, and even add them to your ice cream to make it a little less sinful. And do not forget grape jams and jellies, and the wonderful and healthy wine. There is no end to what you can do with a little bit of grapes. But do remember to consult your doctor before you indulge in the juicy goodness; things change in pregnancy. Can I eat Papaya during pregnancy?